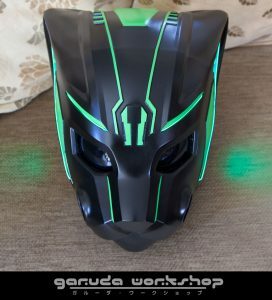 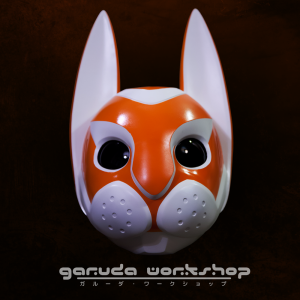 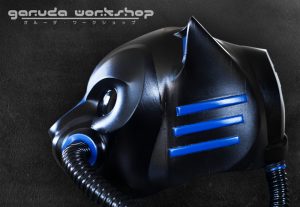 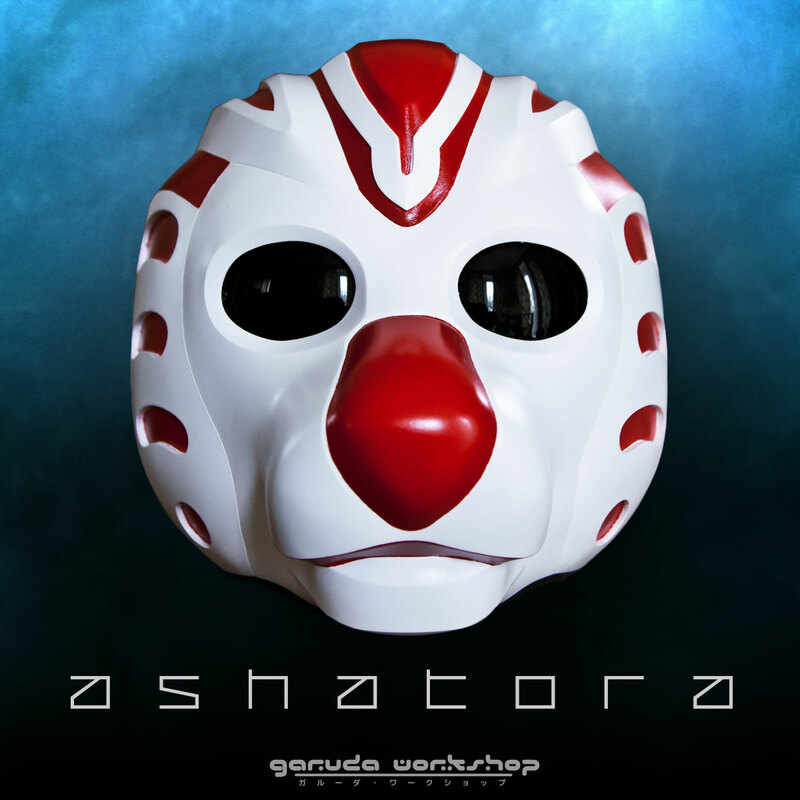 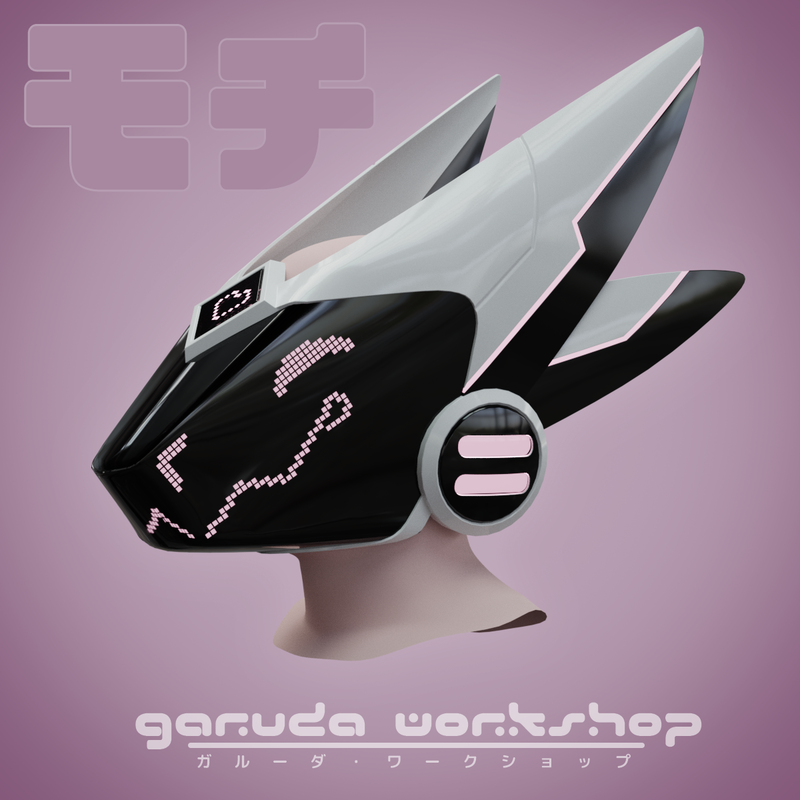 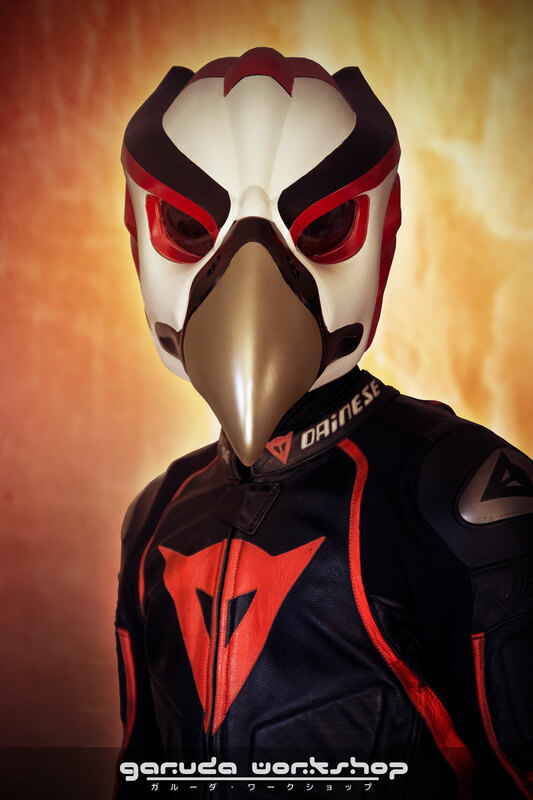 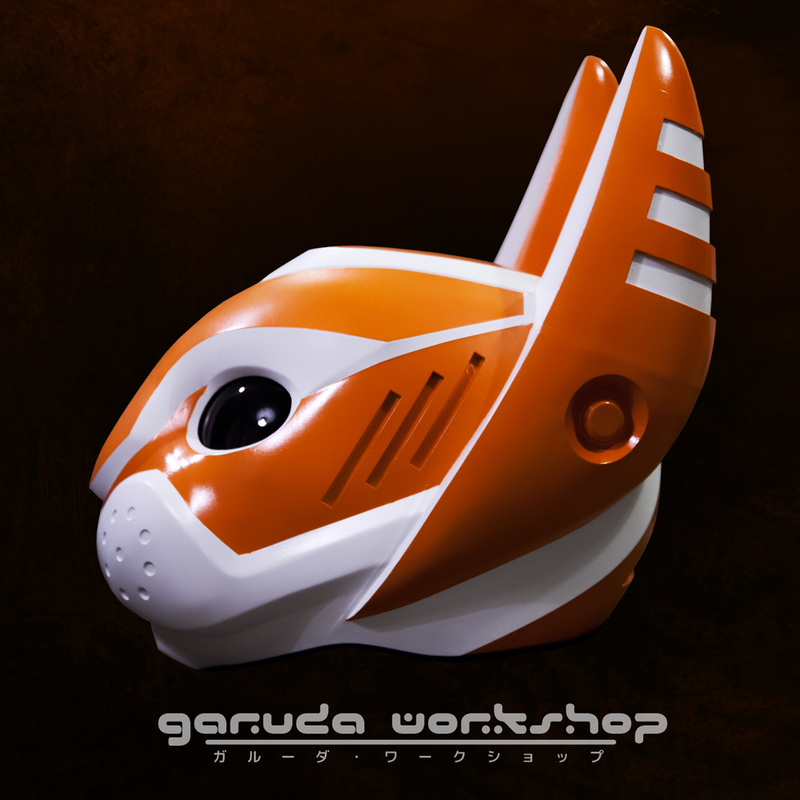 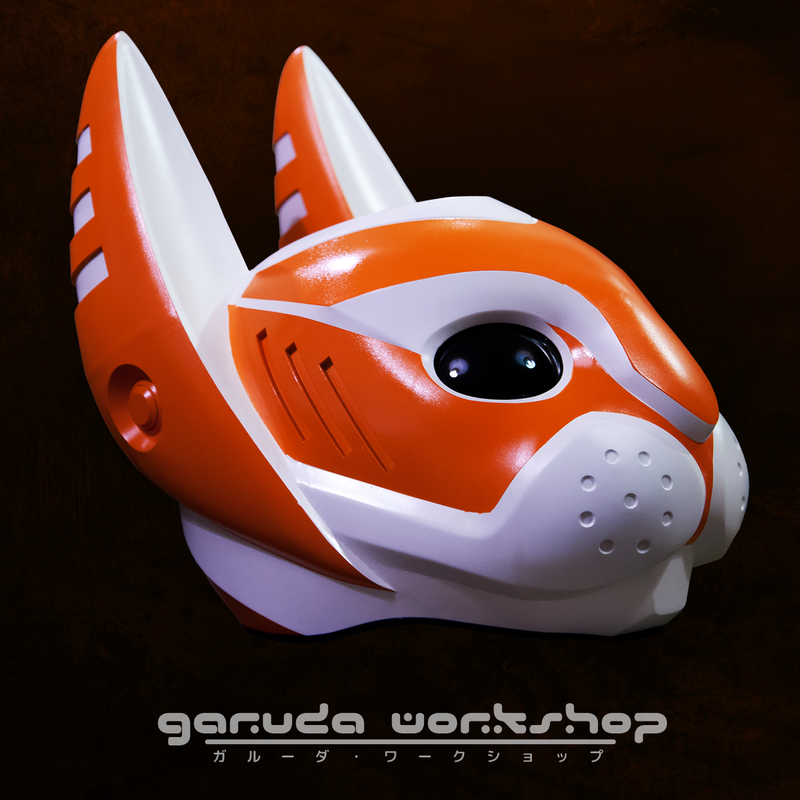 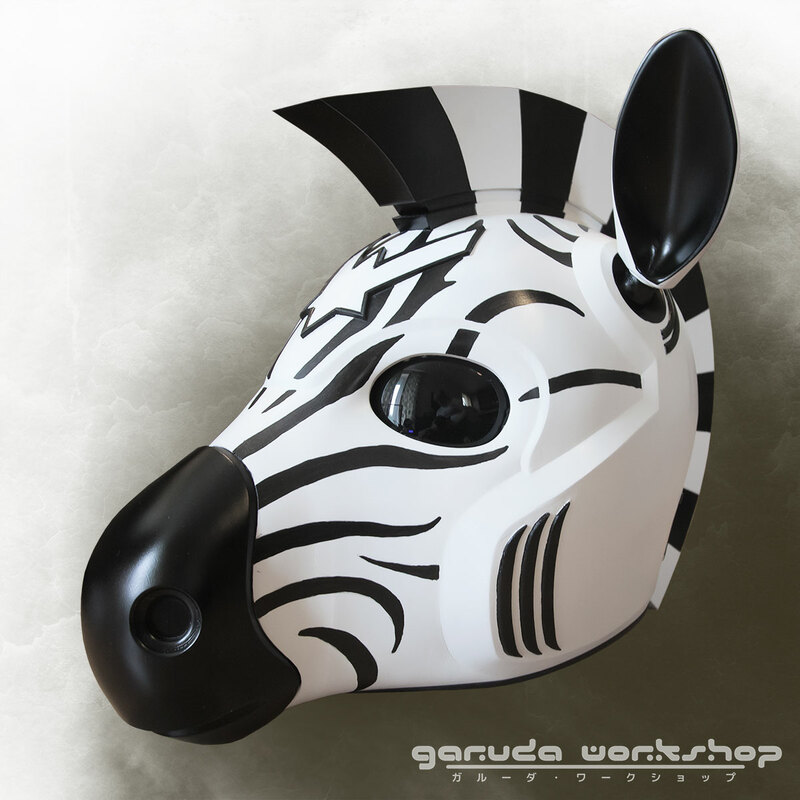 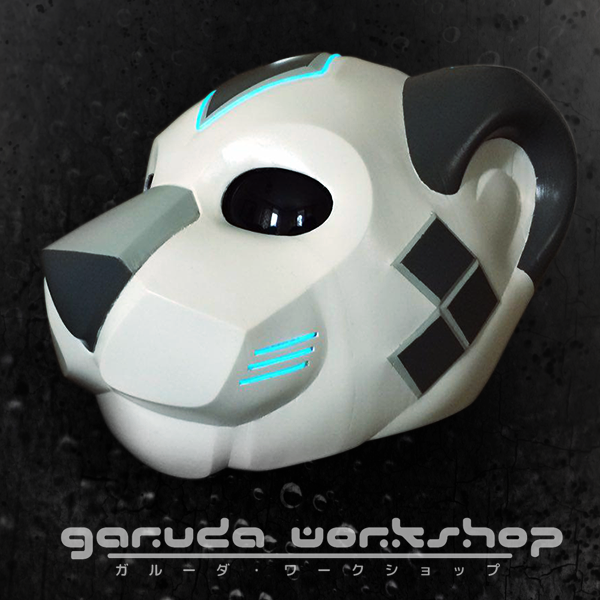 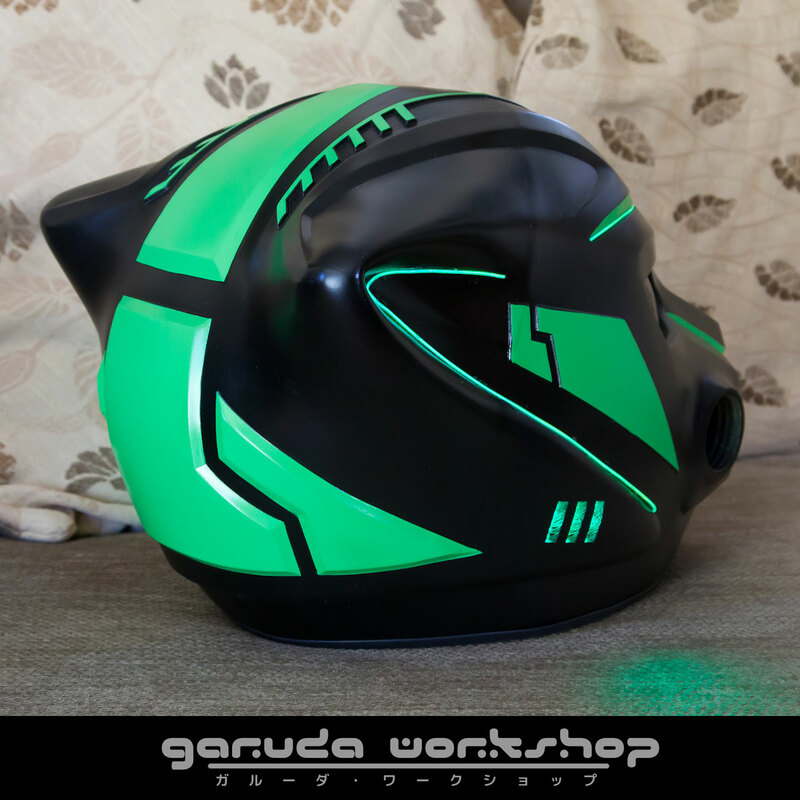 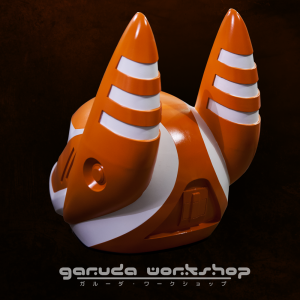 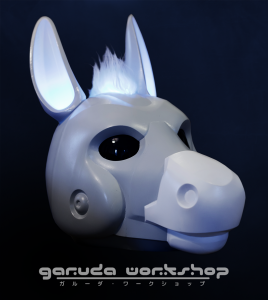 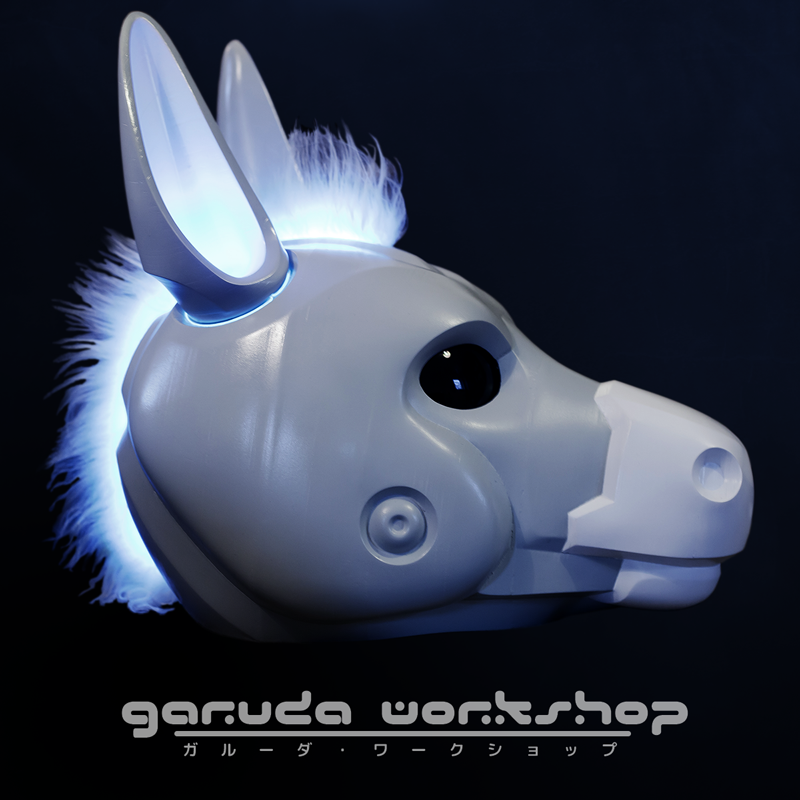 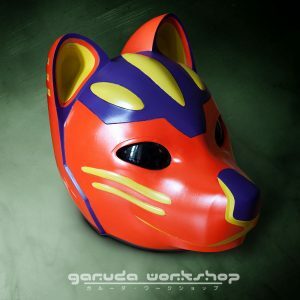 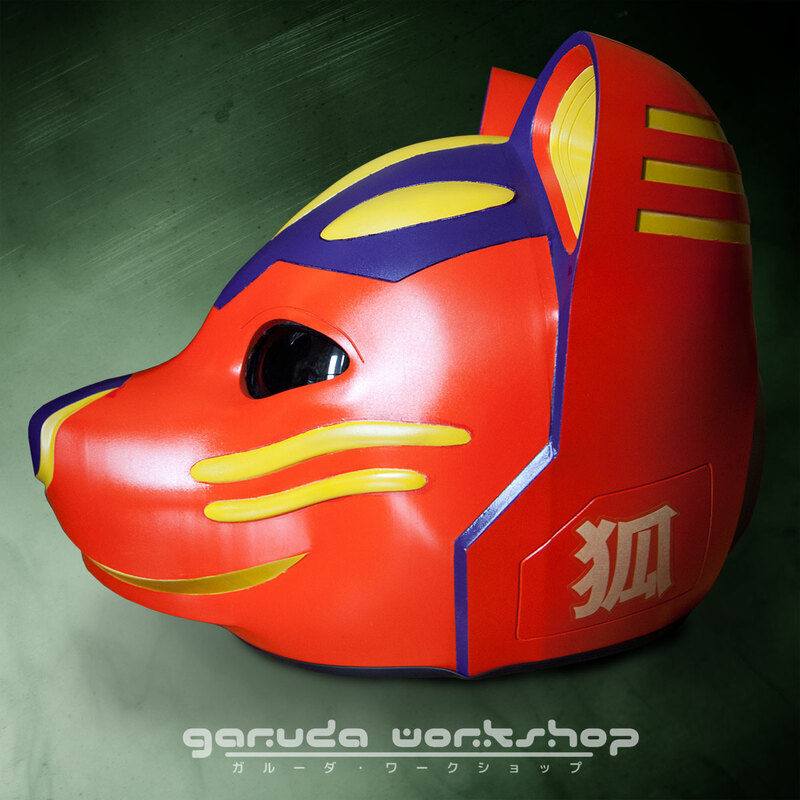 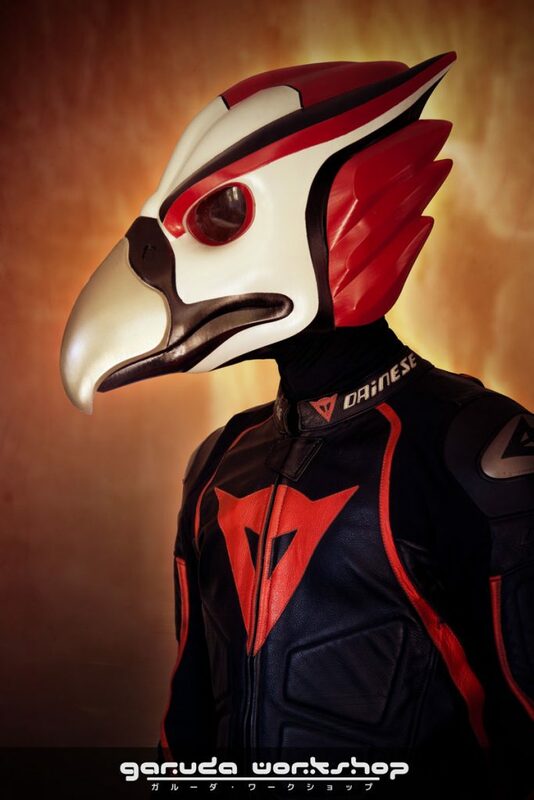 Garuda Workshop produces custom costume pieces designed from scratch to bring your ideas and imagination to life. 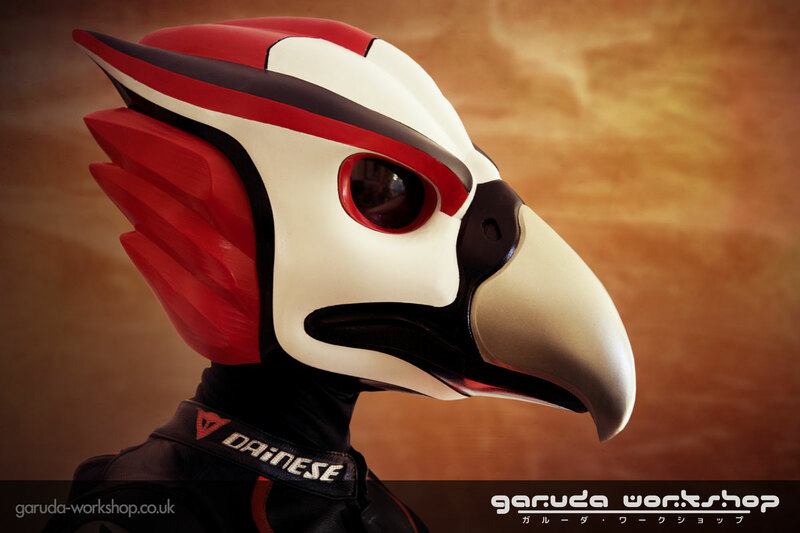 Visit our portfolio to discover what we can create for you. 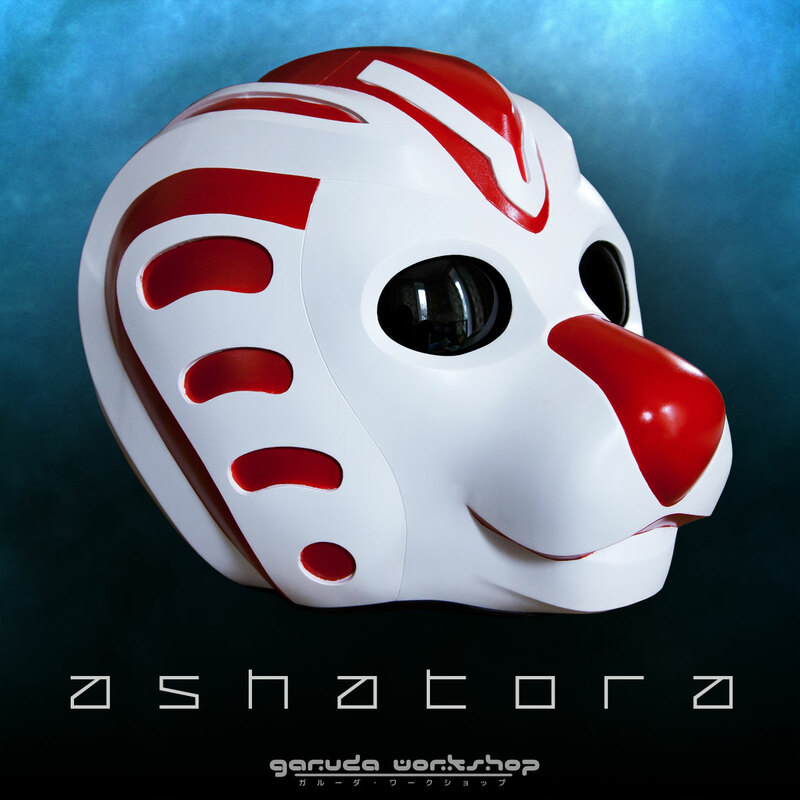 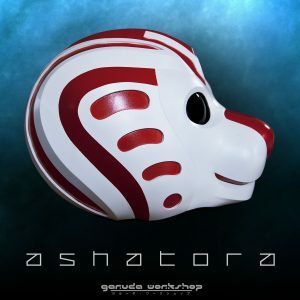 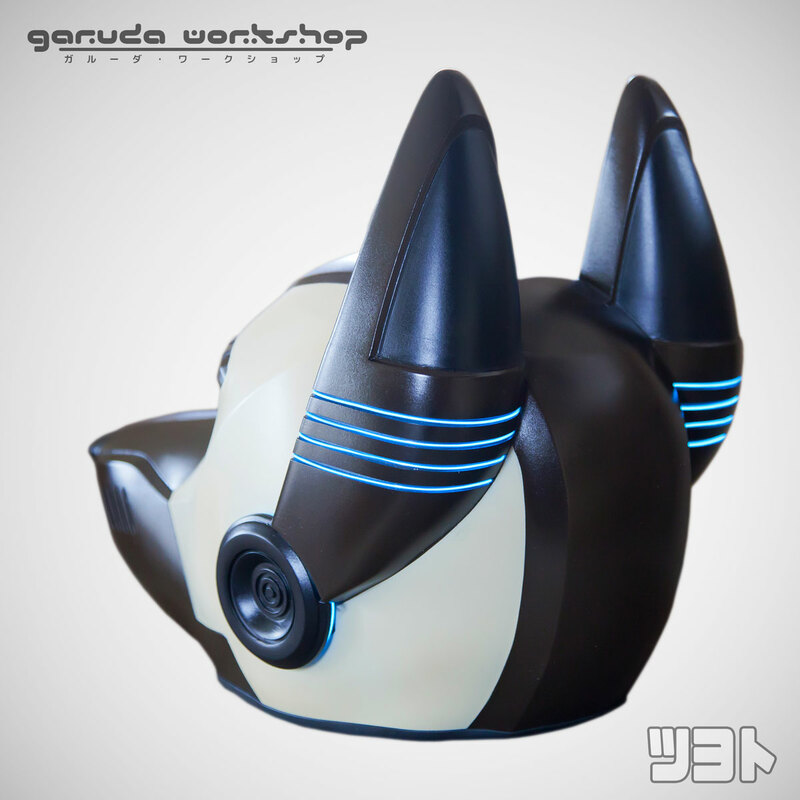 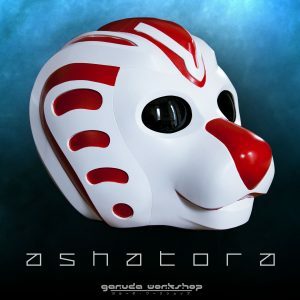 Helmet commission based on traditional Japanese kitsune masks complete with custom decals. Mochi the Primagen. 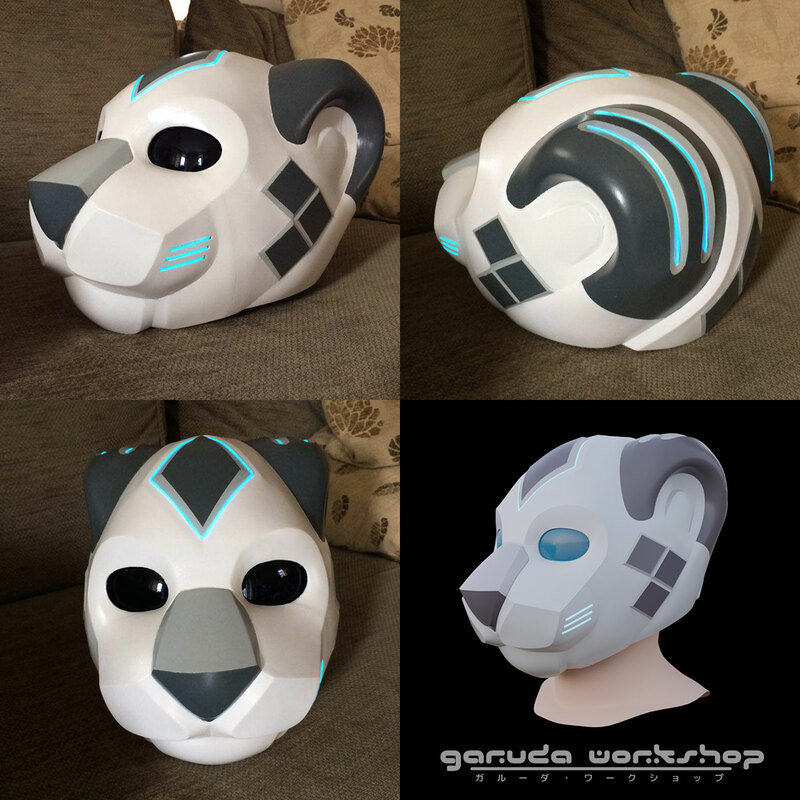 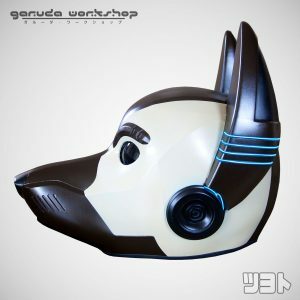 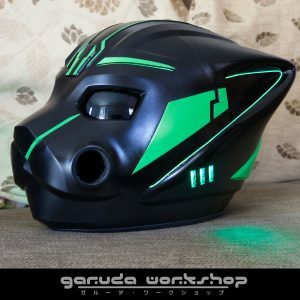 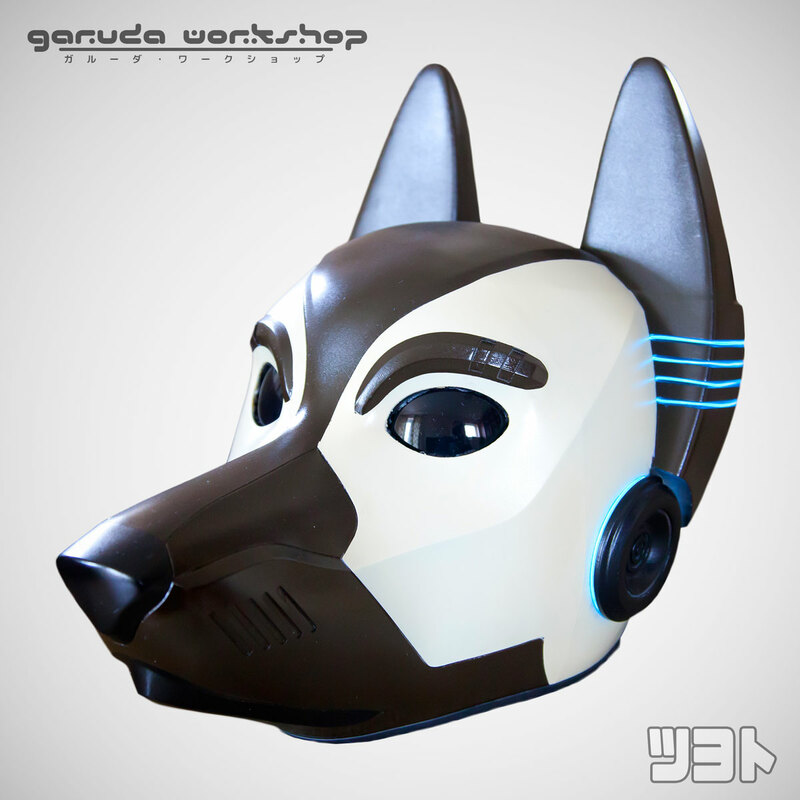 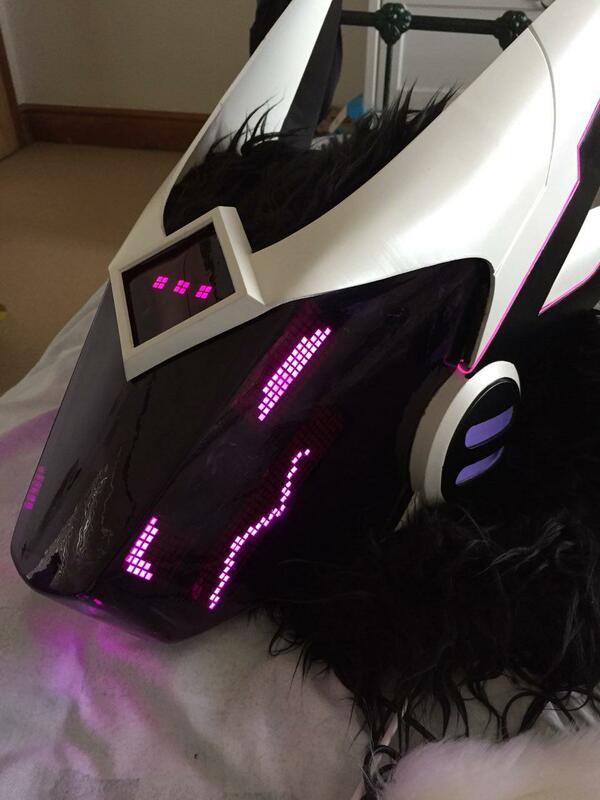 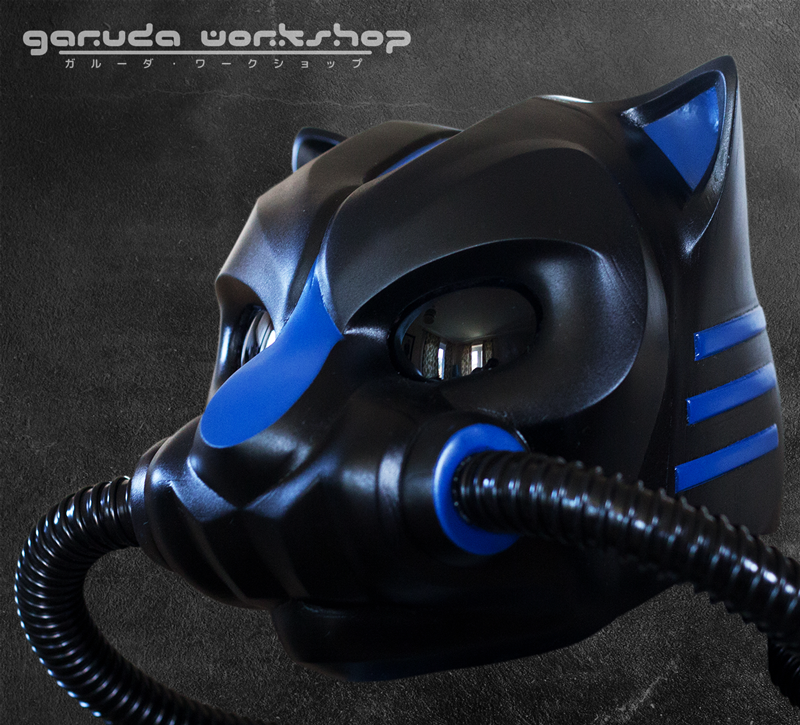 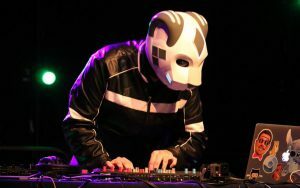 Commission included arms, paws with claws, vacuum formed visor, EL wire lighting on the "ears", LED matrices capable of displaying 7 different facial expressions controlled by buttons in the claws. Robot dog commission with EL wire lighting. A helmet for space adventuring in style. 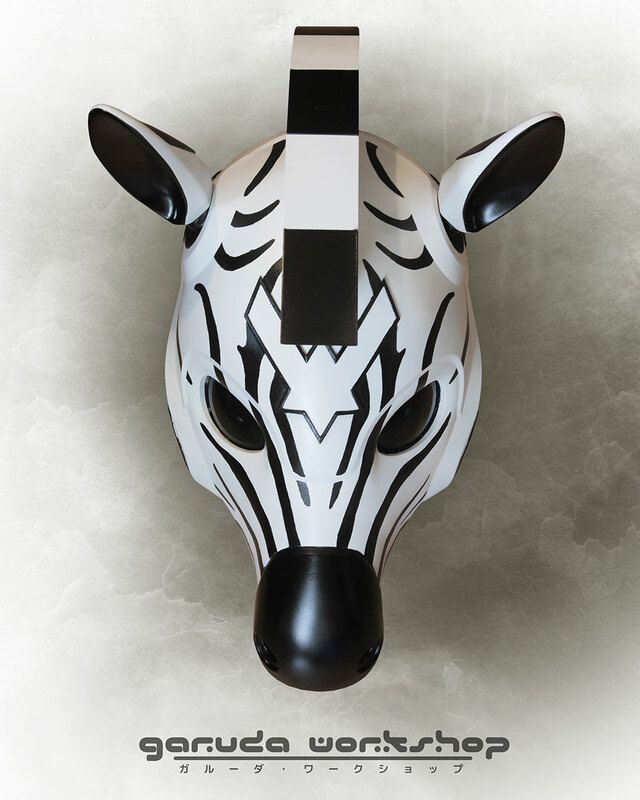 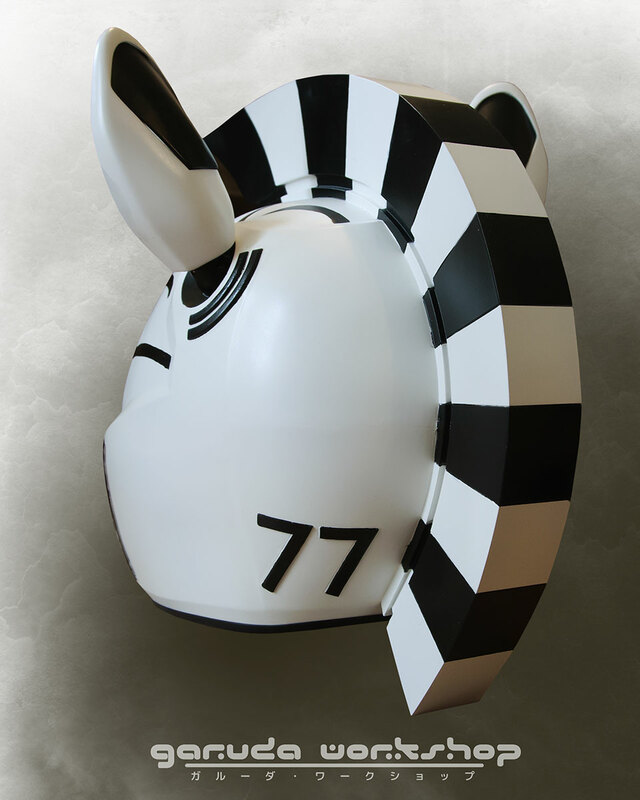 This is an original helmet, non-commissioned piece currently on sale via the auction page.